ABOUT US | Untamed Borders - Adventure travel..
Untamed Borders is an adventure travel company providing unparalleled access to some of the world’s most interesting and inaccessible places. We specialise in trips to Afghanistan, Pakistan, India, Middle East, East Africa, former Soviet Central Asia and the Caucasus, but also arrange bespoke trips to other off-the-beaten track destinations. Untamed Borders was founded following a meeting in the mountains of Afghanistan between two intrepid travel guides, Kausar Hussain and James Willcox. Both Kausar and James shared a desire to enable other people to experience the beauty and wonder of Pakistan and Afghanistan, lands that are often described as dangerous and inhospitable. This shared desire and a lot of hard work quickly laid the foundations for what Untamed Borders is today. Untamed Borders uses specialist local guides throughout, whose aim is to provide authentic and original experiences for all our guests. We can introduce you to the people of the areas we visit because they are our friends. We speak the languages and know the history because it is our history and we want to share it with the rest of the world. We believe that peace and understanding on a world scale can only come when people of different cultures meet and interact. Our aim is to add positive benefit to the areas we visit. We ensure that, whenever possible, the money we spend goes directly to the people of that region by staying in locally run hotels and using local drivers and supplies. Our business cards are printed in the bazaars of Peshawar and this website was designed in Himachal Pradesh. Small scale tourism might not change the world but every path starts with a single step. There will be a maximum of 12 people on any trip we arrange. Some trips have less. This small number allows for greater security, flexibility and access to local people and places. Each set itinerary trip is individually designed to coincide with local events or to visit the area at the best time of year. In addition to our fixed itineraries, we can arrange all kinds of bespoke trips – this was after all how we started. We are happy to give advice to anyone considering visiting these areas. Please don’t be shy, just get in touch! 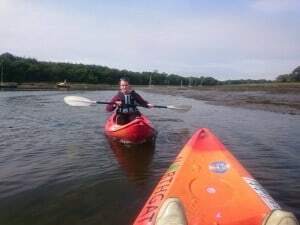 Please join us on one of our small group itineraries or contact us to arrange a bespoke adventure. 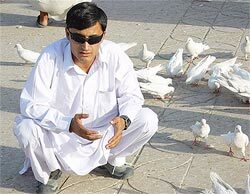 Born in Peshawar, Kausar has travelled every inch of Pakistan and Afghanistan and has friends almost everywhere. From the bustling bazaars of Kabul to sleepy, poppy growing villages in the Tribal Areas. When not leading tours and running Untamed Borders, Kausar works as a photographer and journalist. 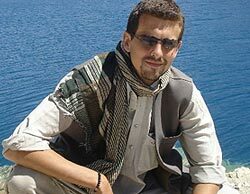 For ten years he has worked with foreign correspondents allowing them access to restricted areas in Afghanistan and Pakistan. Kausar speaks 9 languages and for the last 5 years has spent time teaching English to Afghan refugees based in the camps that surround Peshawar. 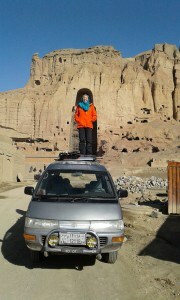 Kausar has given countless visitors safe and unparalleled access to the people and places of these remarkable regions. James’ first travel memory is a donkey ride on Skegness Beach. Over thirty years later James has travelled extensively throughout central, east and southern Asia, South America, Europe and North Africa. James has guided hundreds of people in hard-to-reach destinations and in 2013 was awarded a personal commendation by Dr Habiba Sarobi the Governor of Bamian Province, Afghanistan, for his part in bringing ski tourism to Afghanistan. Matt Traver was born and raised in Hong Kong. His adult life has seen him develop a love affair for the steppe and mountains of Eurasia. For five years he focused on filmmaking and photography as a way to share faraway cultures with an international audience. His film and adventure projects have taken him through the deserts of Uzbekistan, steppes of Kazakhstan, the high mountains of Iran and Tajikistan, the Tuvan taiga forests and rivers of Siberia. His independent films have also screened at thirty international festivals and events in the UK, France, Italy, Czech Republic, USA, Bulgaria, Slovenia, Australia and also won him an award for the Best Environmental Documentary at the Mountain Film Festival. He has also completed a number of first ascent climbing expeditions to Kyrgyzstan, Greenland and Malaysia. Matt now heads up our Expeditions and Trekking trips. Find out more about Matt by clicking here. Jan was born in a village ten metres below sea level in the Netherlands. He had never seen a mountain until he was 16. Since then he has spent a life exploring remote mountain ranges over six continents. 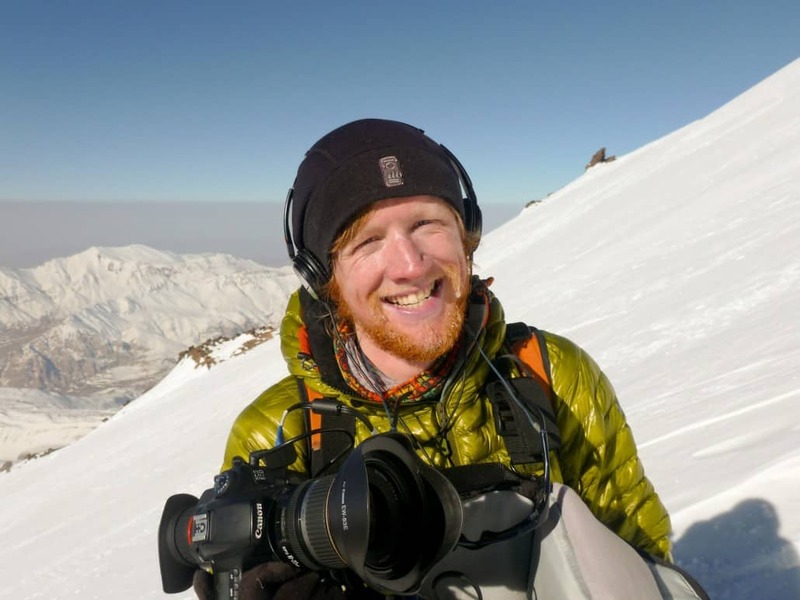 He has published several articles and photographs of his expeditions in Iraqi Kurdistan, Tajikistan and the Wakhan Corridor of Afghanistan and is the author of Trekking in Tajikistan, the first guide book to trekking in that region. Jan gets to put all his passion and mountain experience in designing and coordinating our expeditions. Helping travellers to visit some of the most stunning and rarely visited places on our planet. Taria joins us as the newest member of the Untamed Borders team in 2017 with wide-ranging experience from working as a photographer through to HR management and most recently web design. She is a lover of travel and has recently been exploring Mexico and Central America with her backpack and recording her experiences in a sketchbook. When not working and making art she spends her time as a bass player for a London based rock band. Since moving to Costa Rica at 16 to attend United World College, Freya has been passionate about exploring the world. From hitchhiking across Northern Pakistan to taking the full length of the Trans-Siberian railway, travel has been a way to see another side to countries from what she learnt studying International Relations in Spain. So far her adventures have taken her to Southern Africa, Latin America, the Indian Sub-Continent and Russia. 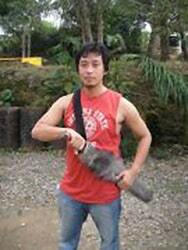 Ade is an experienced expedition leader, mountain guide, trekking guide and a keen photographer. Originally from Wales, he’s now based in Sydney, Australia. Ade spends his life leading trekking and climbing expeditions in the most remote and far-flung regions on the globe. Ade has climbed, trekked and travelled on all seven continents. 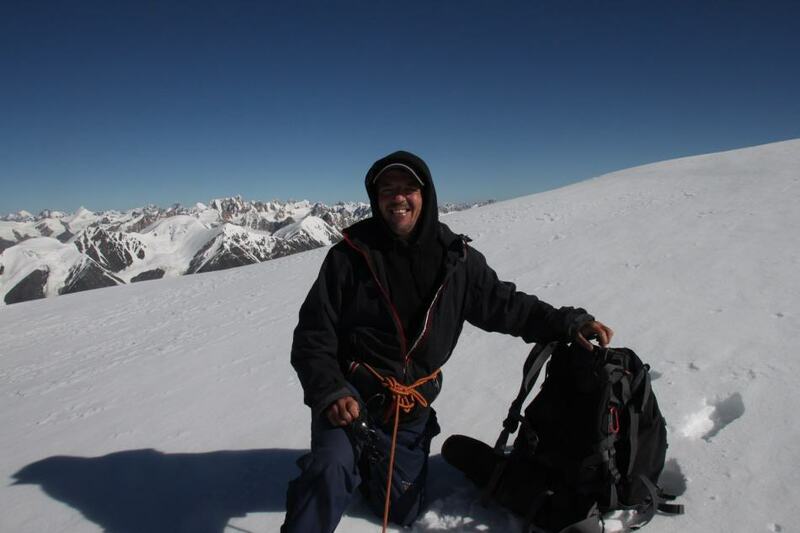 His passion is to develop new trekking routes in countries like Nepal and Mongolia. When not working Ade enjoys everything Australia has to offer, including canyoning, sea kayaking and the Sydney lifestyle. 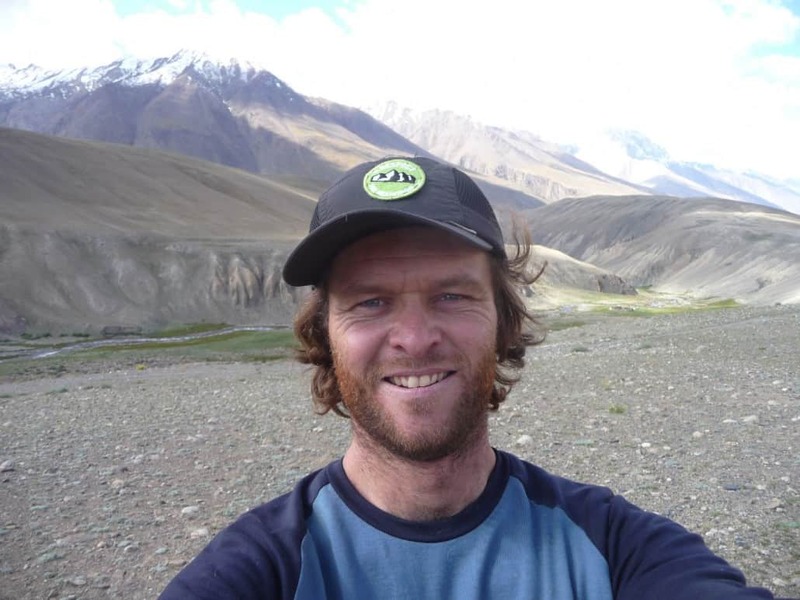 Ade is responsible for leading our trips to the Wakhan, which he has been to countless times over a number of years. Pei is our top man in the North East of India. He and James met by chance in a train compartment between Calcutta and Guwahati in 2007 just as Pei was finishing his studies. After a string of adventures too numerous to mention they decided to work together on trips to see the real North East of India. Pei’s generation are the first from Arunachal Pradesh to leave the state and be educated in other parts of India. He is very aware that he and his generation will preside over a crucial time in Arunachal Pradesh’s history. The tribal culture is changing as it encounters the rest of the world and he feels it is his responsibility to ensure that their culture is not eroded by the waves of outside influences. He has recently set up the first travel agency to be run by a member of the Nyishi tribe; he also manages his family’s tea garden and works on his burgeoning political career. Whenever we run any trips to the North East Pei puts all this on hold to arrange permits and joins us to make sure we are well looked after. 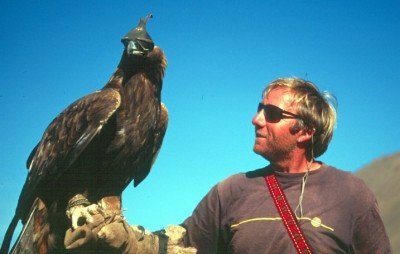 Moritz is an old friend of Untamed Borders and a very experienced trekking guide. There are few people alive who know more about the trekking routes of northern Pakistan. As well as guiding treks 11 times to K2 base camp, he has rebuilt schools in Indus Kohistan after the 2005 earthquake, written a guide book and countless articles. The treks he guides are to his favourite places, offering some of the world’s most incredible scenery and experiences. Ana was born in Maribor, Slovenia, and learned to ski at the age of three. Since her first trip to West Africa a decade ago (when she accidentally illegally crossed the border from Burkina Faso to Ghana) she has lived and worked mostly as a ski coach and guide in alternative countries to the popular destinations of Canada to Australia. She has certainly learned a thing or two about foreign lands. Later she fell in love with the Middle East and swapped hiking up snowy peaks to going down rocky wadis. Ana has recently spent most of her time in Ramallah in Palestine, working on sports programmes for women in refugee camps. When she gets tired of living under occupation she guides trips for Untamed Borders to Afghanistan and Kurdistan.